TSPSC MPSO/ASO hall ticket for the written exam will be released on the official website @ tspsc.gov.in. 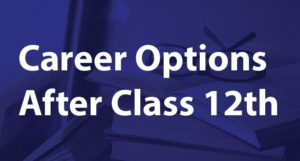 The candidates who have successfully registered themselves for TSPSC MPSO/ASO exam 2019 should do robust preparation to qualify both the papers of exam. Candidate should visit the official TSPSC website to avail the hall ticket of TSPSC MPSO/ASO exam. The availability of hall ticket of TSPSC MPSO/ASO 2019 will be updated on the website of TSPSC. Written examination will be conducted after the release of TSPSC MPSO/ASO Hall ticket. There are some important prerequisites of TSPSC MPSO/ASO hall ticket 2019. Candidate should have his/her TSPSC ID and Date Of Birth to download the hall ticket of TSPSC MPO/ASO examination. 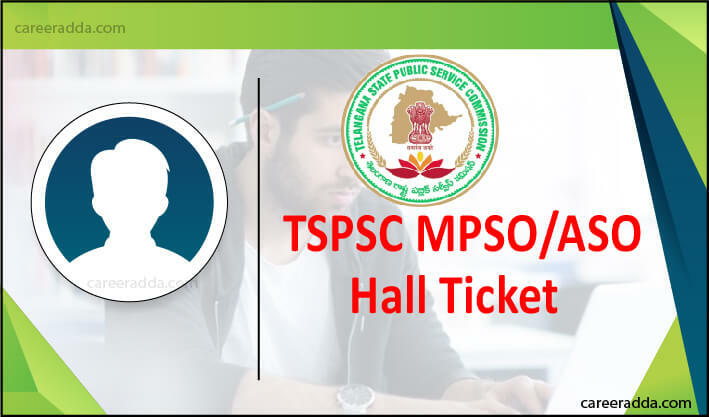 Candidate should download TSPSC MPSO/ASO hall ticket as early as possible so that if there are any changes required in the Hall ticket of TSPSC MPSO/ASO 2019 it can be made by TSPSC authority before the commencement of exam. Candidate should not wait for SMS alert of TSPSC MPSO/ASO Hall ticket as registered candidate may not get any alert by TSPSC authority thus, it is responsibility of candidate to check TSPSC official website before exam. Candidate will get computer generated TSPSC MPSO/ASO hall ticket on website, they will not receive hall ticket by post. TSPSC MPSO/ASO Hall ticket will be released few days before TSPSC MPSO/ASO exam . The candidate who will apply for TSPSC MPSO/ASO exam will complete OTR( one time registration ) process in which he/she will receive TSPSC ID which will be further used by the candidate to download hall ticket and to check result and merit list. Candidate can check the table below to get information about date of release of TSPSC MPSO/ASO hall ticket 2019. Applicants should download the PDF file of TSPSC MPSO/ASO hall ticket for future reference. They should also take print out of hall ticket in b/w or coloured. Applicant has to carry the same photograph as uploaded while applying for TSPSC MPSO/ASO exam on examination day. 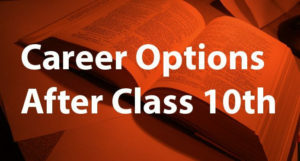 Candidate should not change his/her appearance till recruitment otherwise he/she will be disqualified from examination. On examination day, applicant must carry valid photo identity proof such as Aadhaar of candidate / PAN card of candidate/ candidate’s Voter ID Card / passport etc. In case any candidate forgets his/her identity proof then they will not be allowed to give examination. Candidate should e-mail TSPSC authority to make corrections in the TSPSC MPSO/ASO Hall Ticket or should call on toll free number of TSPSC regarding any query. TSPSC commission has given clear instructions about restriction of any electronic device with the candidate. Candidate will be properly checked before their entry in examination hall and if any prohibited items are found with the candidate during exam, their candidature will be cancelled. Candidate should not wear any expensive jewellery and he/she should not carry any valuable item on examination day. TSPSC authority does not guarantee any security for candidate’s valuable items. Candidate’s candidature will be cancelled immediately if he/she impersonate or malpractice or improver behaviour in the exam. It is duty of candidate to visit the examination venue before the exam day. Candidate should reach the venue before time to avoid any impediments on examination day. State of Hall ticket of candidate should be good and it should be without any wear and tear. Hall ticket which is not in proper condition will not be considered valid on examination day. Q. When Will Hall Ticket Of TSPSC MPSO/ASO Will Release ? A. It will be released few weeks before the TSPSC MPSO/ASO exam and TSPSC will notify about the date of release of hall ticket on its official site. Q. Should We Keep The Hall Ticket After The Examination ? A. Yes, you should keep the Hall ticket of TSPSC MPSO/ASO safely with you . TSPSC might ask for Hall ticket in the recruitment process or during verification of documents. Q. If I Want To Correct Discrepancies In Hall Ticket Whom Should I Address? A. If you want to make any corrections in Hall ticket then you should mail the TSPSC authority as early as possible before the examination day. Q. Do I Have To Carry The Same Photograph On Examination Day Which Is Present On Hall Ticket ? A. Yes, you have to carry the same photograph present on Hall ticket of TSPSC on MPSO/ASO exam day.